What are User Permissions for? If you have multiple users who have access to your Pandle account (such as employees) then you can set different levels of permissions for each depending on what they need to see or do in Pandle. 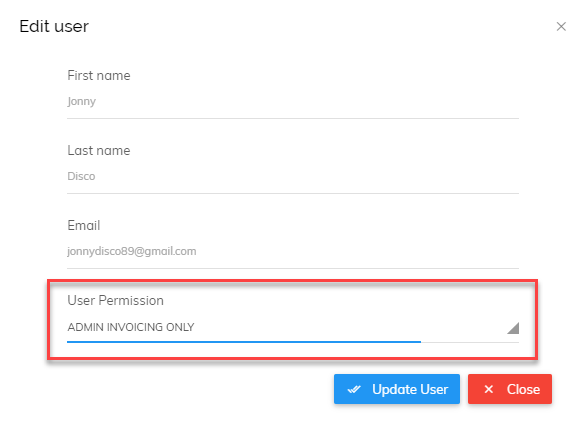 For example, if you have an admin assistant who sends your invoices but you do not want them to see banking information, this can be achieved with Pandle's User Permissions. To set up User Permissions, go to Company Settings > User Permissions tab. Here you will see the 3 default permission groups which cannot be edited and the option to add new groups. 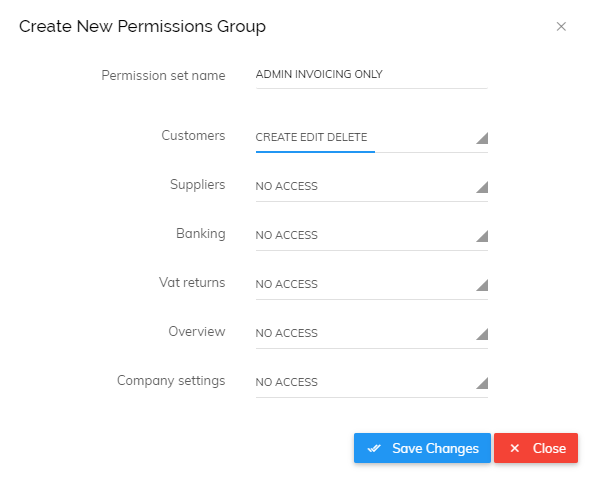 In the below example we have called the new group 'Admin invoicing only' and only the 'Customers' permission has been set. This means that any user you put into this permissions group will only be able to view and create quotes and invoices. When this user next logs in they will only have access to the parts of Pandle allowed in their permission group. Please note, if it is important to you that users you add do not have sight of certain sensitive data, we recommend testing the new user roles you create. To do this we would recommend setting up a dummy user account.